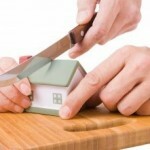 Home Divorce in New York What Do I Need to Do To Initiate Divorce Proceedings in New York? There are certain requirements that must be met in order to be able to file for divorce. One of the requirements that must be met before you can initiate a divorce in New York is the residency requirements. One or both parties generally need to have been a resident of the State of New York for at least one year before being able to file for divorce. Every state has its own rules for allowing a divorce to be granted. In New York, you must have the grounds to be able to file for divorce. There are seven grounds available in New York to use as a reason. These can include an irretrievable breakdown of the marriage for more than six months (what we refer to as the “no fault” ground), abandonment, adultery, separation for one year, imprisonment, and more. You must have one of these grounds listed as the reason for your divorce. 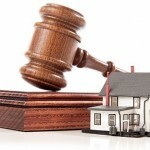 Once you have the residency requirements and the grounds for the divorce, you should be able to initiate the divorce. There are certain papers that need to be filed with the court in order to commence the action and to obtain the divorce, even with the cooperation of your spouse. They are available on the Court’s web site, however, many non-lawyers (and some lawyers) find them daunting to complete and most of the courts in the State are simply not geared to “helping” complete them correctly. An experienced family law attorney makes the process much easier.